Mouse motion changes the camera position. 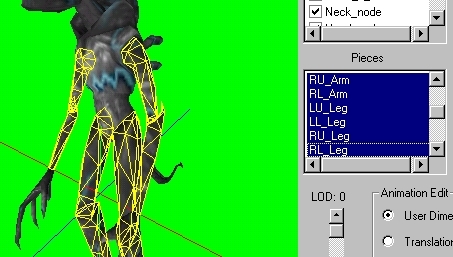 Left mouse rotates the camera around the model. Right mouse zooms the camera in and out. Right and left mouse combined pans the camera. Shift left mouse restores the view. When you have the skin ready to view and you already have converted them to .dtx format. This should of been done by taking your .tga files and converting them in DEdit. 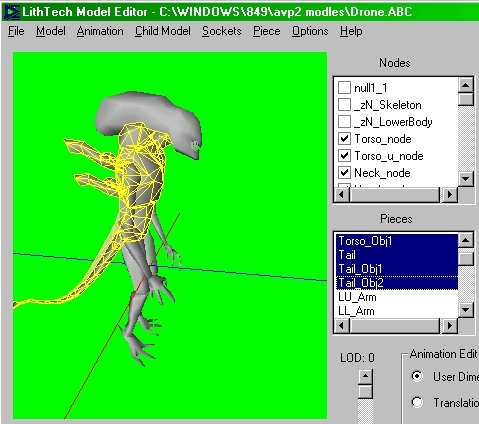 To .dtx files by going to the textures tab and importing the tga files. Open the model you want to texture. (there in .ABC ex: drone.ABC) File open. If that was hard I feel sorry for you! Ok lets put a texture on the model. You have to texture each of the pieces with it's own texture. It's really not that hard. Note: if your not sure what pieces go with what texture. Go to the top tool bar, under Model and click Model Info. Scroll down to the heading Pieces----- and check what textures go with what. 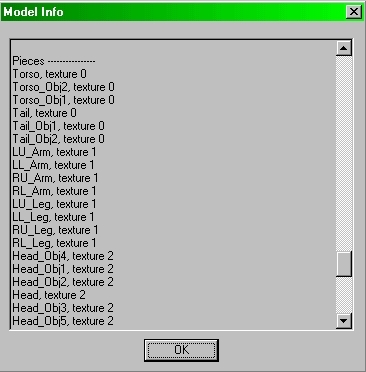 Once all the torso and tail pieces are selected. 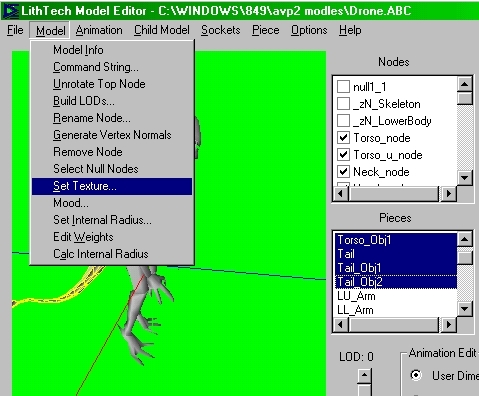 Go to the top tool bar and under Model look for "Set texture" and open your _torso.dtx ex: drone_torso.dtx. 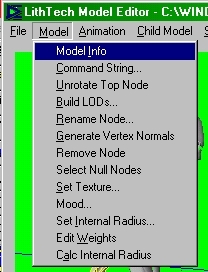 If your not sure where it is look in the NOLF/tools/Project file/Textures or were ever you saved your .dtx. It might take a try or two, to get it right, but that's the basics for viewing your texture on a model. You can also play around with the animations to get nice poses for a screenshot! *"NOTE! :Model Edit won't load any textrure over 512x512. that's a problem for some torso textures so shrink them down to 256x256 for viewing"
If you have any questions feel free to "E-mail me" or leave a message on the "skin message board"